Gionee to Launch New Smartphones With Face Unlock and 18:9 Displays. The Chinese smartphone maker Gionee is set for the launch of a new range of smartphones tomorrow. The launch does not say much about the phone specifications, but shows smartphones with very thin bezels on the sides. According to industry sources, the smartphones are expected to be priced in the bracket of Rs 9,000 and Rs 15,000 and a “Full View Display” is expected to be one of the key features of these Smartphones. According to sources from Gizbot, the smartphones will come with face unlock and Full view displays. The device is expected to come with 4GB RAM and 32GB inbuilt storage which can be expanded via a microSD card upto 256GB. That’s not all, the company is reportedly in talks with multiple telecom operators to give away data for free. Before now, David Chang, Global Sales Director, of Gionee in India, said that the Gionee company has come to India to stay. He also refuted reports in the Chinese media that the company is facing financial woes in paying its suppliers. “We are equally excited about our presence in the Indian market and would like to assure all Gionee lovers that the brand is here to stay,” Chang added. The company had 2.2 percent share in the Indian smartphone market for 2017, according to Counterpoint Research. 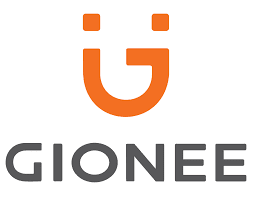 Gionee, which established its presence in India in 2012, claims to have retail presence in over 42,000 stores and has 600 exclusive service centres in the country. It claims a customer base of 1.25 crore in the country. Panasonic P95 Comes With 1GB RAM, And Face Unlock. ← Samsung Galaxy A6 and Galaxy A6+ Comes Without Home Button.